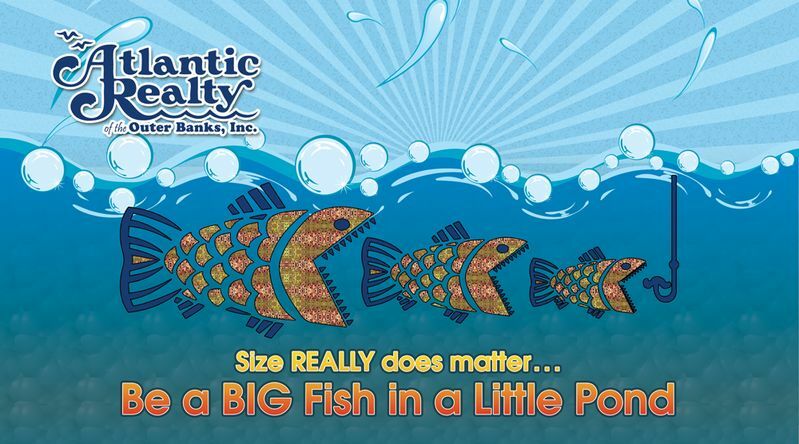 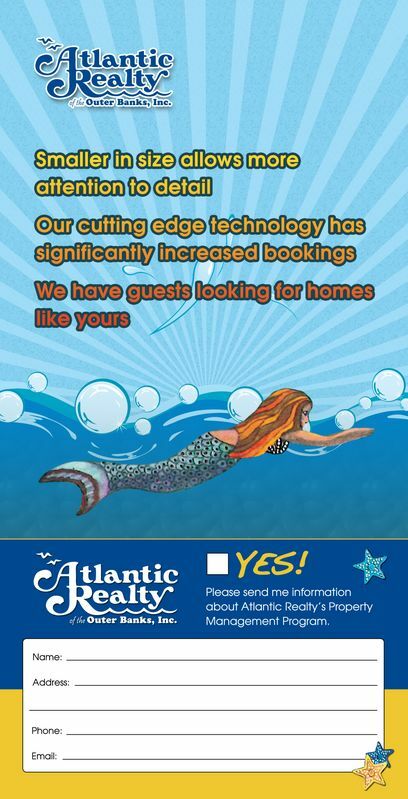 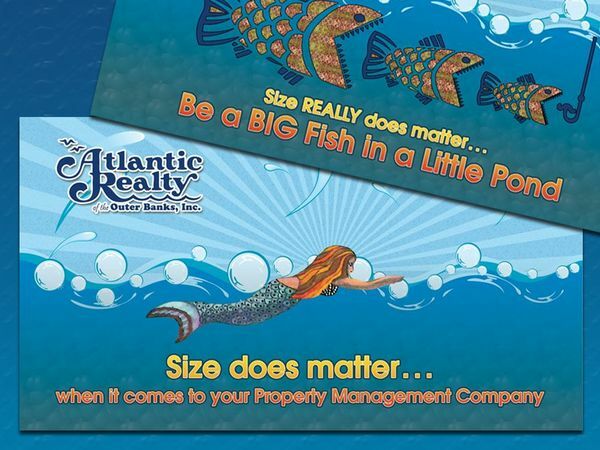 This postcard campaign design features Atlantic Realty’s branding and focuses on their greatest advantage as a vacation home property management company – their small size and personal service. 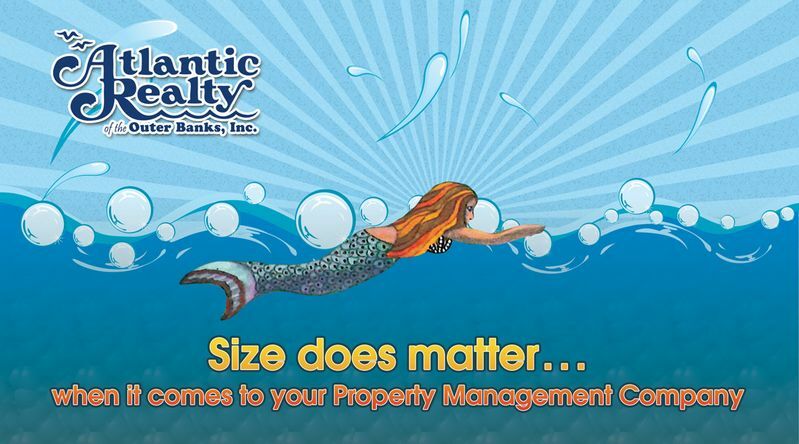 We created a whimsical design with bright, fun colors to attract attention to their services for rental homeowners. 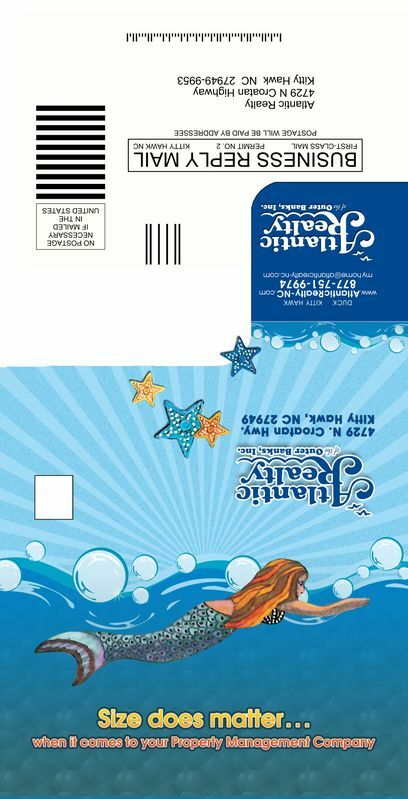 Each of the postcards were created as a trifolded unit. 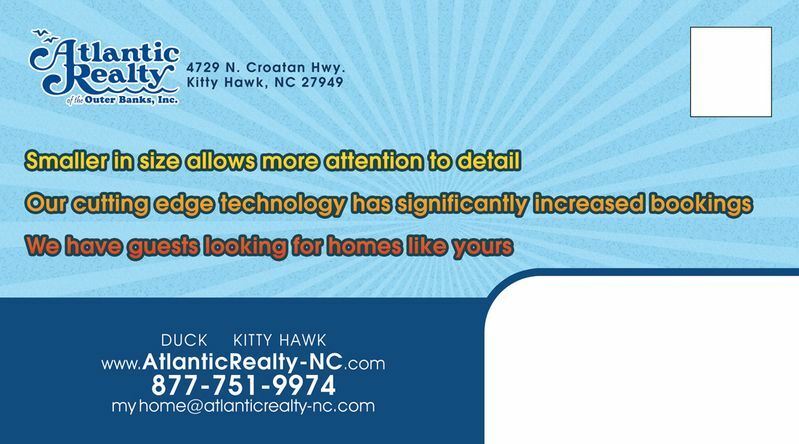 When folded it shows the main imagery on the front and the back shows the address areas. 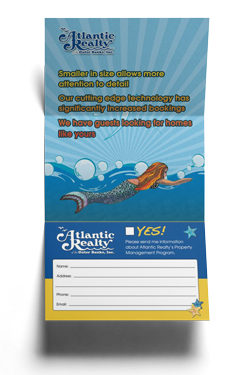 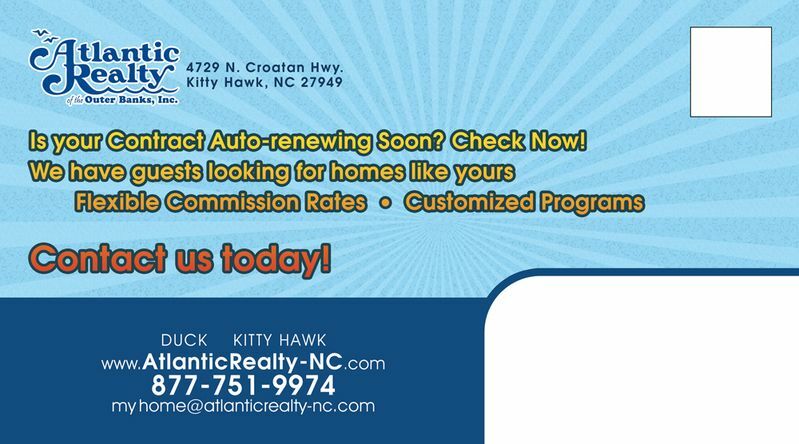 As you unroll it, you will see three entire panels of information, as well as a panel you can tear out and mail back to Atlantic Realty, postage paid.